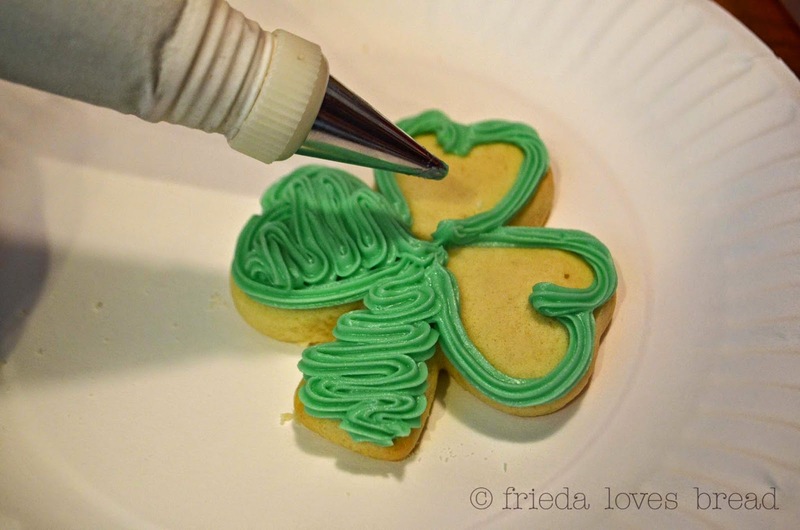 I used to frost sugar cookies by hand, that is, using an offset spatula with my buttercream frosting. 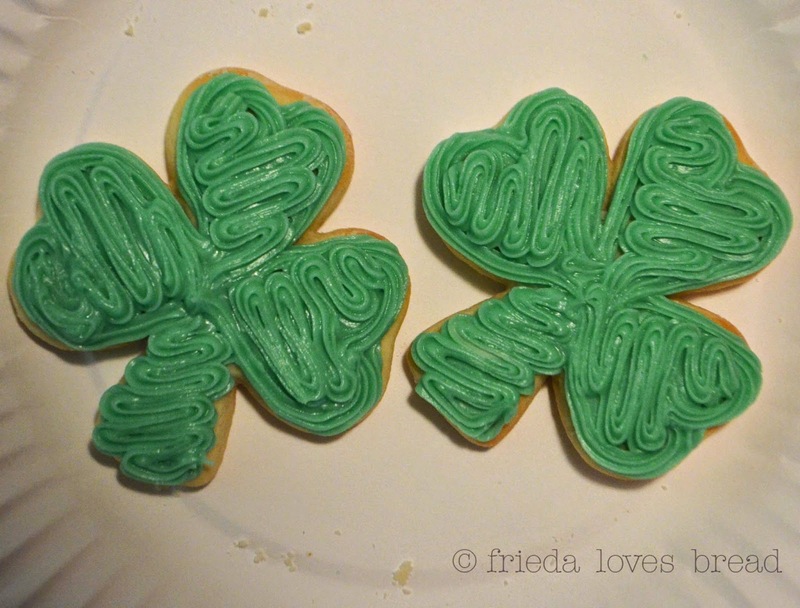 Then I had to frost a million sugar cookies. And my hands got tired. Cookies got dropped. They didn't look very pretty. Well, not a million sugar cookies, but a LOT of cookies. Then I thought, "if cakes are frosted using a piping bag, why not cookies?" Simple cake decorating supplies are inexpensive. Start your collection with a Wilton 10 Inch Piping Bag , which is my favorite size that fits comfortably in my hand. Next, select your decorating tips. The one I use the most for frosting sugar cookies is Wilton's No.16 Open Star Tip. The last thing you will need to purchase is a Wilton Plastic coupler , a plastic ring that holds the tip in place to the decorating bag. 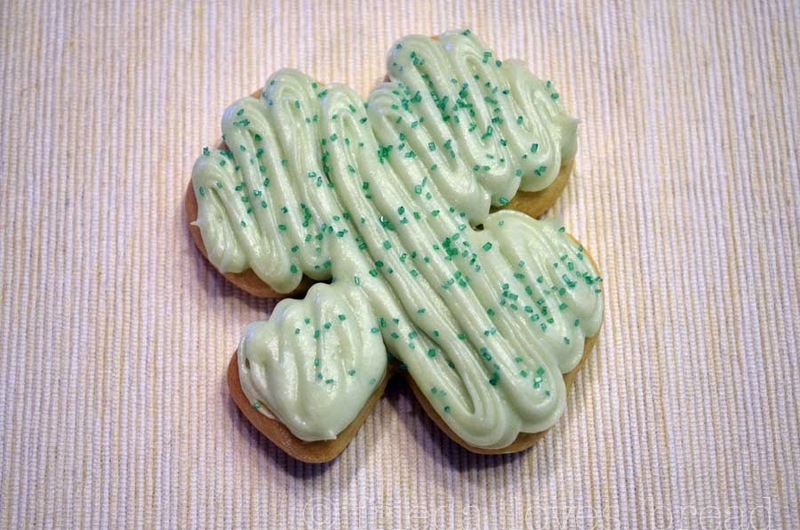 Ummmm....Well....does it look like a shamrock? Hmmmm....more like a green blob, doesn't it? 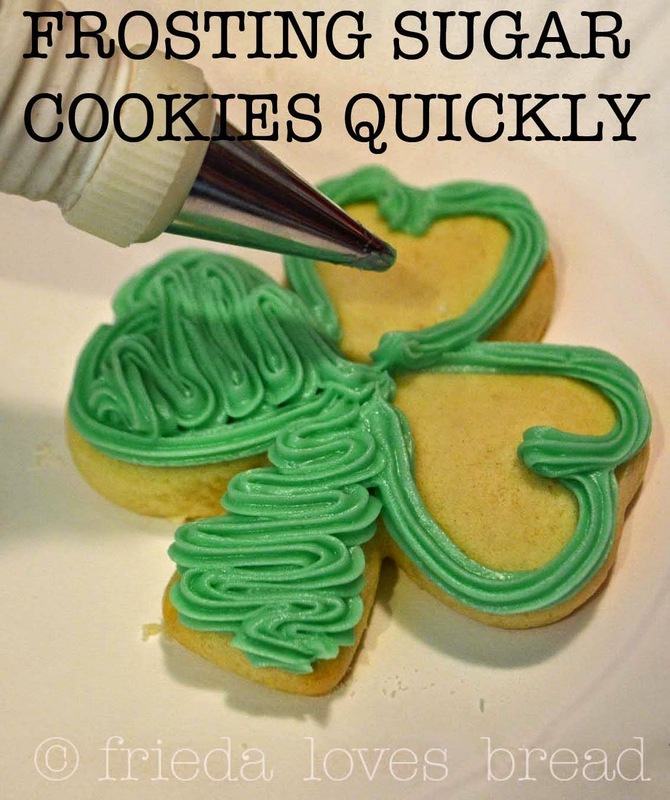 I have found it is best to outline your cookie, then fill it in. Hold the bag at a 90º angle and outline your cookie. 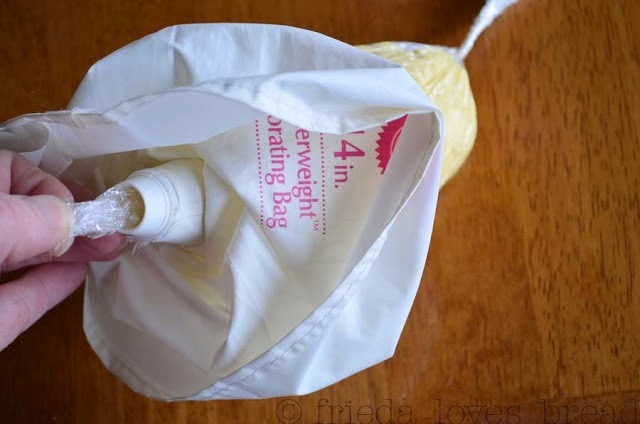 Then hold the bag at a 45º angle and fill it in. I like to use a diagonal pattern. There! Doesn't that look better?